KATHMANDU, Jan 19: The rising import bill of the country has had its impact on the foreign exchange (forex) reserves, which dipped $79 million in first five months of the current fiscal year. 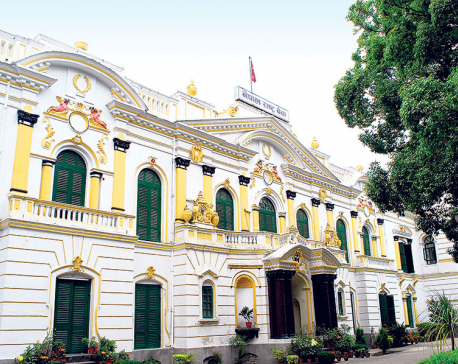 According to 'Current Macroeconomic and Financial Situation of Nepal (Based on Five Months' Data of 2018/19) released by the Nepal Rastra Bank on Thursday, the forex reserve of the country saw a decline by 7.9 percent in US dollar terms. As of mid-December last year, the country's total forex reserve stands at $9.29 billion, down from $10.08 billion in mid-July. As the country has been burning through the forex reserve to foot the rising import bill, it is putting a pressure on the external sector of the country. Stronger US dollar in recent months has further caused deceleration of the forex chest, according to observers. Though the value of Nepali rupee is recovering in recent weeks, the domestic currency is still far below the level it was in the last year. NRB officials, however, have said that the recent dive should not be a cause of panic yet. "Of course, the forex reserve has been declining in recent months on the account of rising imports and not-so-strong growth of remittances. 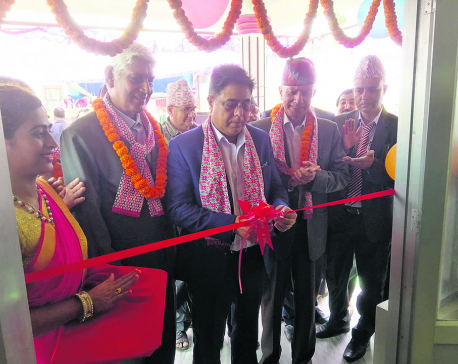 However, the occasional fall in the reserve should not worry us much," said Bhisma Raj Dhungana, the chief of the forex department at the NRB. Dhungana said that the forex reserve is still at a healthy level. According to the periodic report of the NRB, the foreign exchange holdings of the banking sector is sufficient to cover the prospective merchandise imports of 9 months, and merchandise and services imports of 7.8 months. In five months of 2018/19, merchandise imports increased 34.2 percent to Rs 607 billion compared to an increase of 18.2 percent a year ago. “Once the tourism sector, remittances inflow and foreign direct investment see growth, the forex reserve will rebound,” he added. The remittance growth in the first five months of the current fiscal year has not been able to stop the balance of payment (BoP) position of the country slipping into deficit as other major payment sources of the country like foreign direct investment, exports and foreign assistance did not increase to offshoot payment to other countries including mainly of imports bill. According to the NRB data, the overall BOP remained at a deficit of Rs 85.32 billion in the review period compared to a deficit of Rs 5.48 billion in the same period of the previous year. This is the fifth continuous month for the country to witness the BOP deficit. Though the authorities, particularly the NRB, are taking some measures to stem foreign currency bleeding in recent months, the forex reserve decline has not stopped. Earlier in November last year, the NRB lowered the limit of foreign exchange to US $1,500 per passport for Nepali nationals going abroad from $2,500 as well as reduced the limit on payments through Telegraphic Transfer to $30,000 from the earlier limit of $40,000. Similarly, the NRB in December also set a limit of 100,000 Indian rupees on the payment that a Nepali national can make in India through electronic cards.